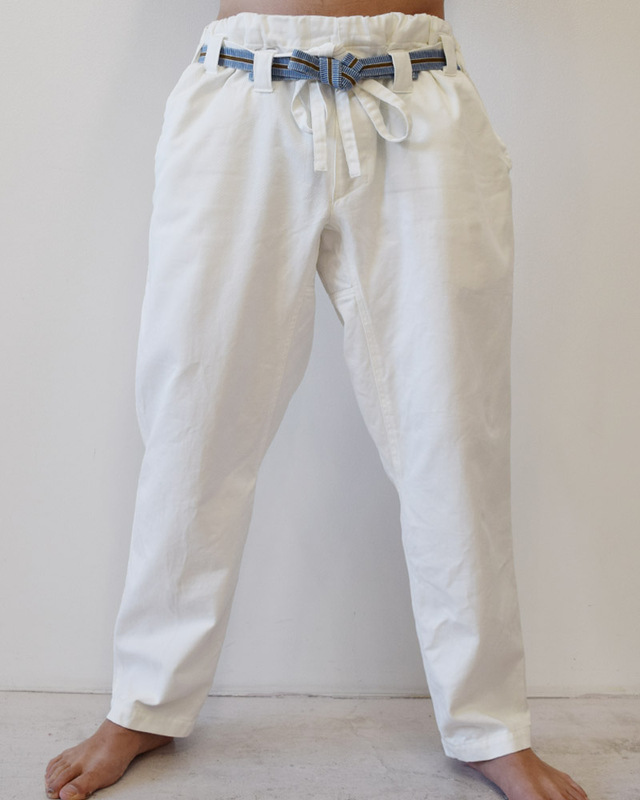 Karate Pants are one of the signature product lines of Yoshiyuki, which we have kept producing with passion and determination ever since launch of the brand. 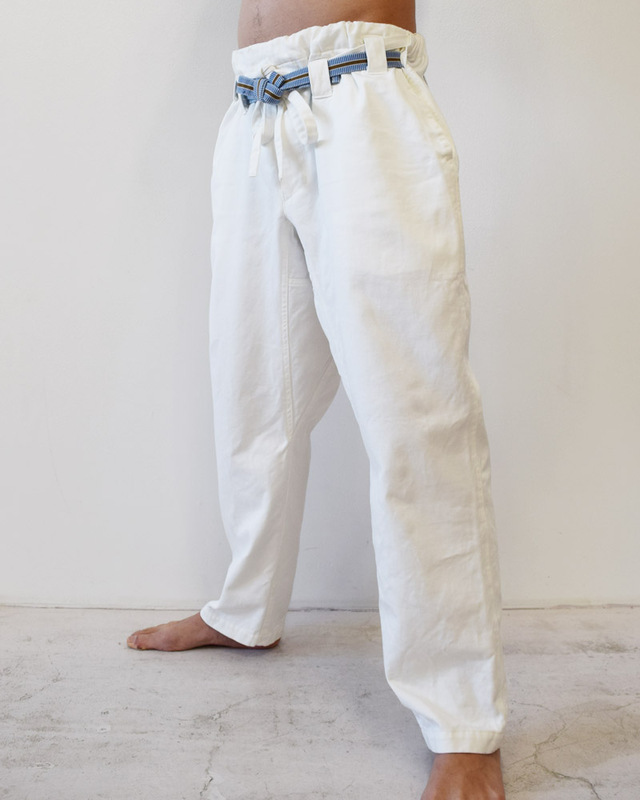 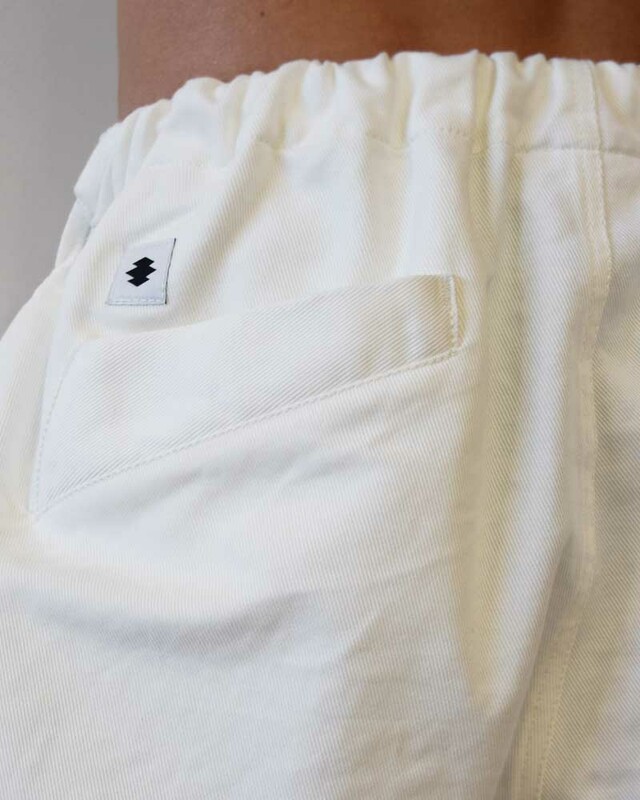 The concept is “Life with Gi”, in which the pants are designed as comfortable wide pants for everyday life and resort, yet still keeping the outlook and the function of Karate wear. 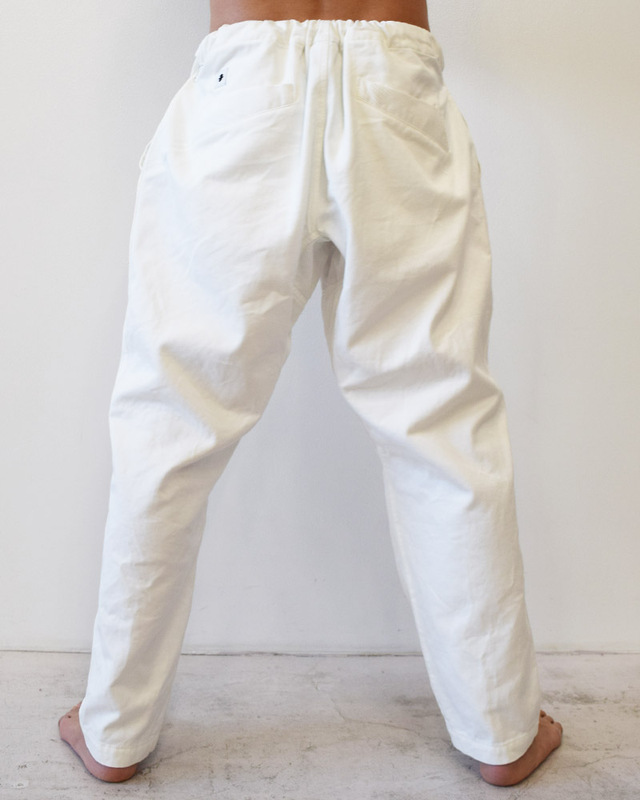 “Pants enabled to perform high kicks have no way of giving stress to daily life” is the pet idea of the designer, and that theory has strongly motivated the brand to keep offering the karate pants for everyday use. 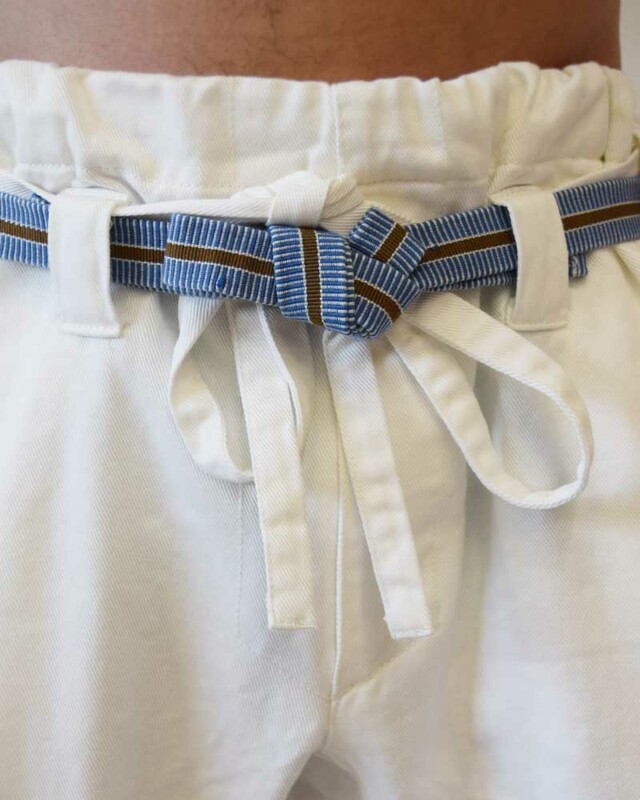 The additional cotton belt made of brand’s original Sanada-himo strap produced by Tosai Ichimura, who is the only craftsman of Sanada-himo strap in the Kanto region, is applied equipped to help tighten the spot beneath lower abdominal muscles called “tanden” in Japanese for constant awareness of the body core. 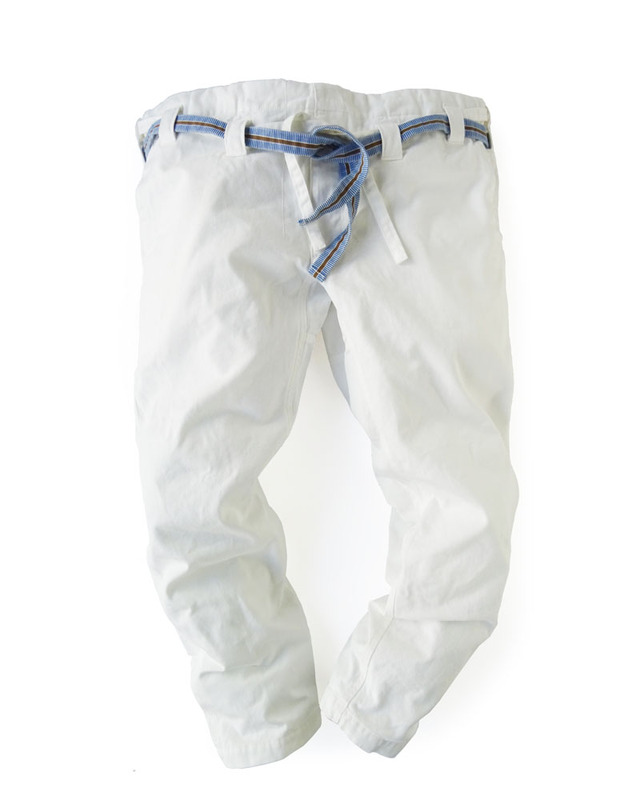 Made of dry-touch cotton fabric woven in pin-stripe pattern with ridgy surface.